Qualcomm yesterday started sending out invites for an event it will host in San Francisco on September 10. 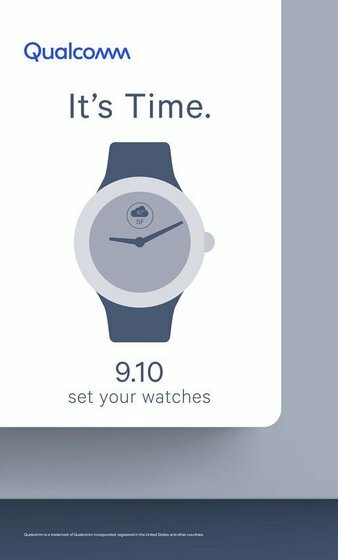 The invite contains the image of a smartwatch, and tells you ‘It’s Time (to) set your watches’. 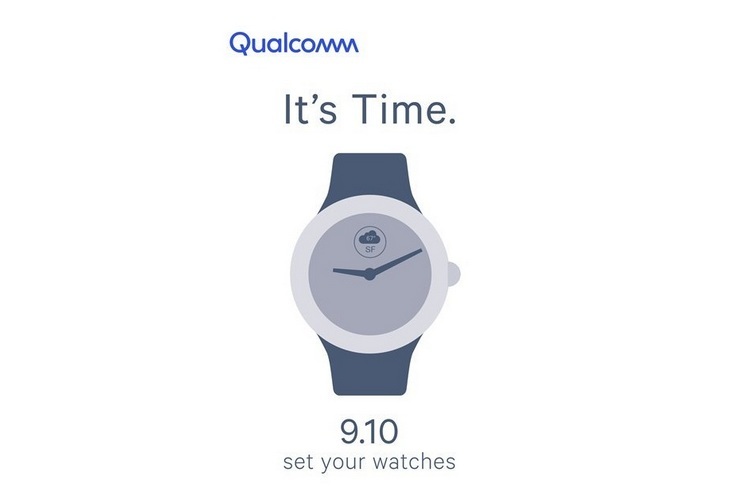 While Qualcomm didn’t specify what exactly will be in store for the attendees on that day, the image below seems to suggest that the company will finally unveil the much-awaited successor to the aging Snapdragon Wear 2100 SoC that was introduced back in 2016, and can be found in most smartwatches in the market today. It is worth noting here that with the Snapdragon 2100 has become pretty much ubiquitous in most smart wearables over the past couple of years, Qualcomm earlier this year announced that it will all change later in the year with the unveiling of new low-powered chips for Google’s Wear OS platform (formerly Android Wear). While there’s not a lot of info about what to expect from Qualcomm’s upcoming wearables platform, some rumors circulating online seem claim that the new chip will come with Bluetooth and Wi-Fi as standard features, with optional add-ons including GPS and LTE connectivity. The new chipset is also expected to have a smaller footprint, allowing the next-generation smartwatches to be sleeker than their predecessors. Qualcomm has also spoken about the focus on reducing the power consumption, so the new SoC should also help deliver improved battery life, which will surely be much appreciated by users. It’s not entirely clear if the September 10 event will also be used to unveil a new smartwatch powered by the new chipset, but one would expect to hear at least some details about a few of the upcoming devices with the new chip under the hood.